Out of Stock. E-book edition is available. Nearly four decades after his death, the legend of Che Guevara has grown worldwide. In this new book, Alvaro Vargas Llosa separates the myth from the reality of Che's legacy, and shows that Che's ideals were a re-hash of notions about centralized power that have long been the major source of suffering and misery in the underdeveloped world. 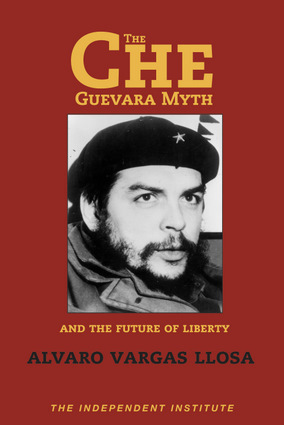 With testimonies from witnesses of Che's actions, Alberto Vargas Llosa's detailed account of the "real Che" sets the record straight by exposing the delusion at the heart of the Che phenomenon. Vargas Llosa shows that Che's legacy—making the law subservient to the most powerful, crushing any and all dissent, and concentrating wealth under the guise of "social equality"—is not the solution to poverty and injustice but is the core of the problem.Besides exposing the dark truths of Che's ideology and actions, The Che Guevara Myth and the Future of Liberty elaborates on attempts by both the left and right to suppress liberty and examines the manifestation of Latin American spirit throughout the ages, from early indigenous trade to today's enterprising communities overcoming government impediments. In so doing, the book points to the real revolution among the poor—the liberation of individuals from the constraints of state power in all spheres, public and private.Whether you love or hate Che, The Che Guevara Myth and the Future of Liberty will not leave you untouched and will provide a powerful, new perspective on how to overcome the challenges facing the Third World. Alvaro Vargas Llosa is the director of the Center on Global Prosperity at The Independent Institute, the coauthor of The Guide to the Perfect Latin American Idiot, and the author of Liberty for Latin America.